I started with the Quinoa salad. It was a very healthy seed salad which came with a sweet chilly yummy dip. The taste was heavenly & everything was really fresh. It was like I was in a cool garden with lotsa fresh vegetation. I had it in small proportions digging into the lovely taste of the quinoa. I even loved having it alone without the sweet chilli sauce. 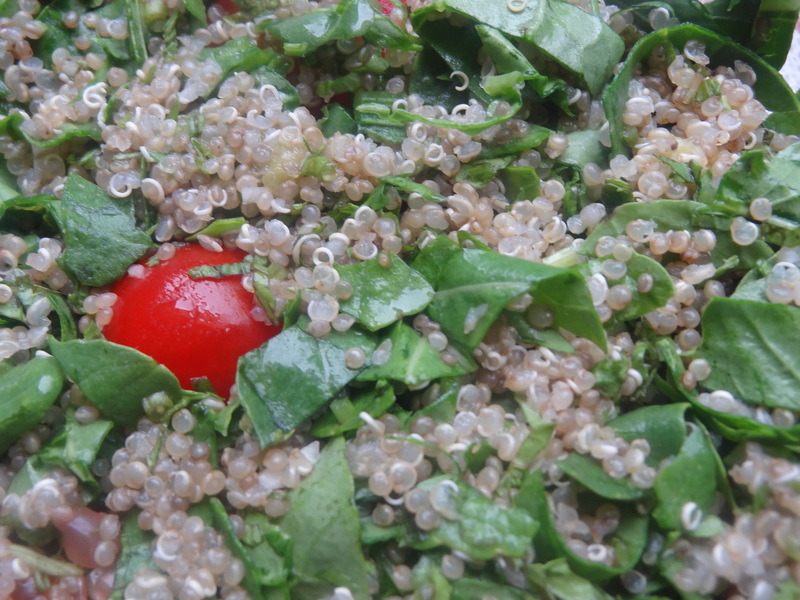 The quinoa salad was made with grapefruit, cherry tomatoes, quinoa, avocado, freshmint, cilantro & argula leaves. The Argula leaves in quinoa tasted nice & fresh and I wanted more of it with every bite. The cherry tomatoes added to the flavour & were lovely to chew and bite. The salad uplifted my mood & I felt better and relaxed. The avocado fruit was very finely cut & made the salad all the more healthy. The second salad was Asia mix chicken salad- my favourite undoubtedly. The vegetables in the salad tasted so good & I became so cheerful on eating it. The red cabbage & romaine tasted fresh and the lettuce & iceberg complete icing on the cake. It tasted really fresh and iceberg was so good and refreshing. I loved it really from the bottom of my heart. I can have it anytime without a second thought as it cooled down & melted my system. The chicken was amazingly awesomely refreshing, so soft & a treat for the tastebuds. I loved the taste of it, relishing piece by piece & mixing it with sweet chilli sauce. Then comes the Broccoli and peaches salad. It had Broccoli florets with peach halves and came with a Thousand Island dressing. The salad was very vibrant; the fresh green flowers of broccoli were freshly plucked & were very nutritious. It takes care of your health & I loved the after taste coz it left my mouth sweet cravings. It was a fuel of natural dose of goodness with the dressing being fresh and the peaches lovely and juicy making me dig more & more. 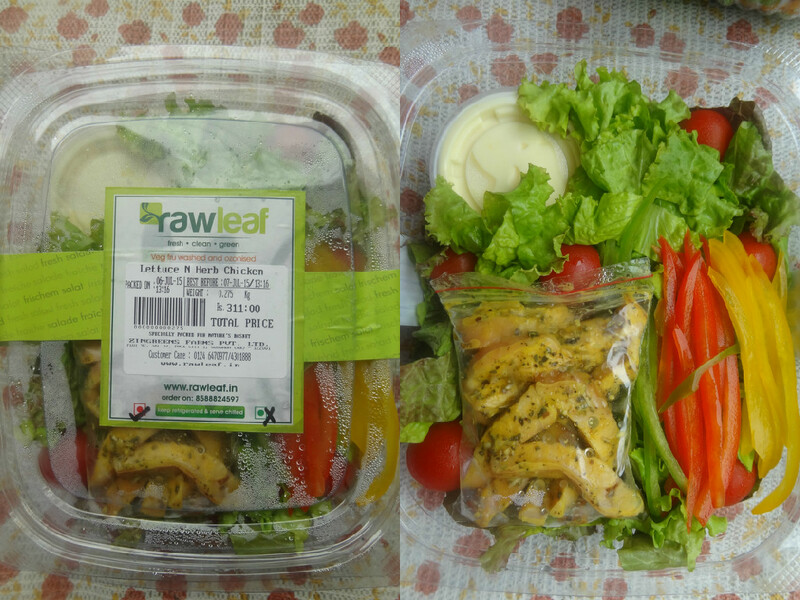 The Lettuce and herb chicken had assorted lettuce, herbed chicken, bell peppers, cherry tomatoes with a honey mustard dressing. This salad was also awesomely delicious & fresh. It had the choicest & bestest of bell peppers & lettuce. So colourful & nutritious! The chicken in the salad was very flavoursome and the dressing enhanced the flavour. 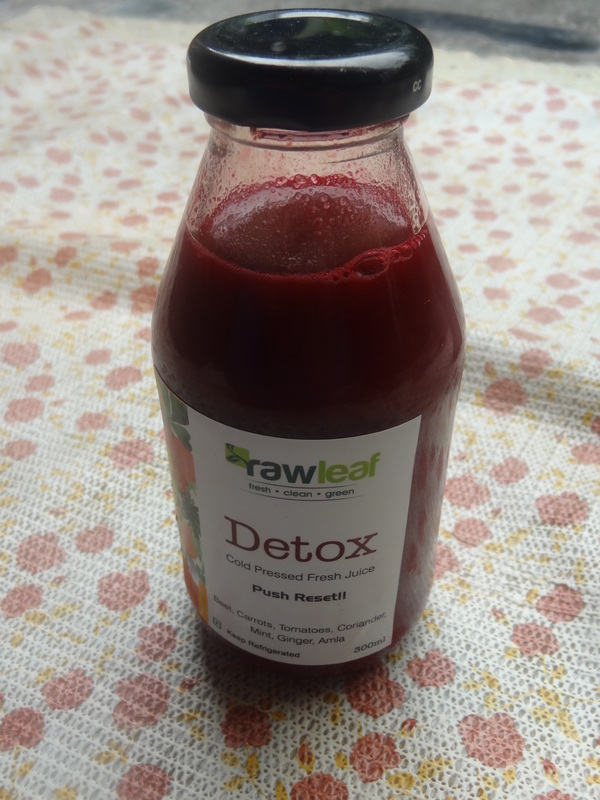 DETOX: The colour of Detox was blood red cranberry and it contained beetroots, carrots, tomatoes, coriander, mint, ginger & amla and is a perfect choice for weight watchers. The flavour was a little tangy according to me. It was as fresh as freshly made in the juicer. Beetroot detoxes the body, mind & soul. It is preservative free with no additives as it slowly cleanses the body. It make you a pure free soul & gives you a more bright & glowing skin. 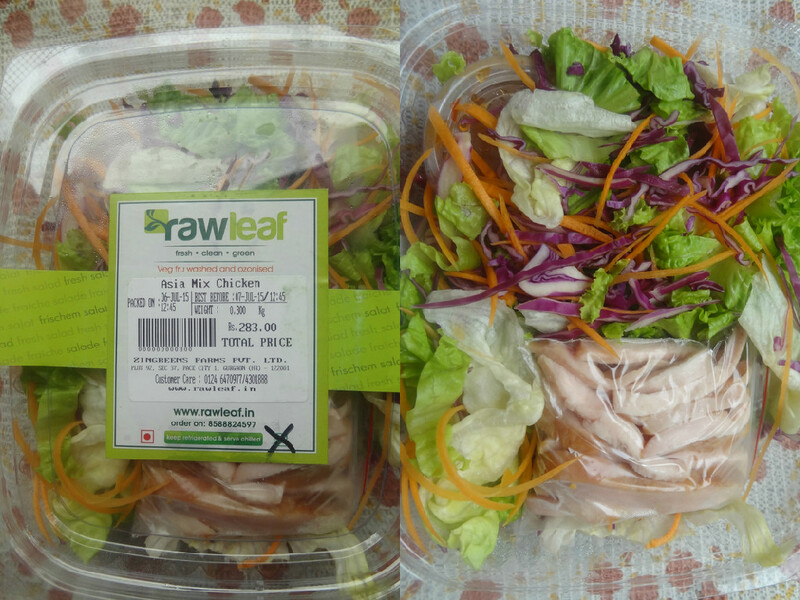 So taste the best here at Raw leaf- the taste of life so healthy, positive, full of energy with the dose of vitamins squeezed in the raw form. 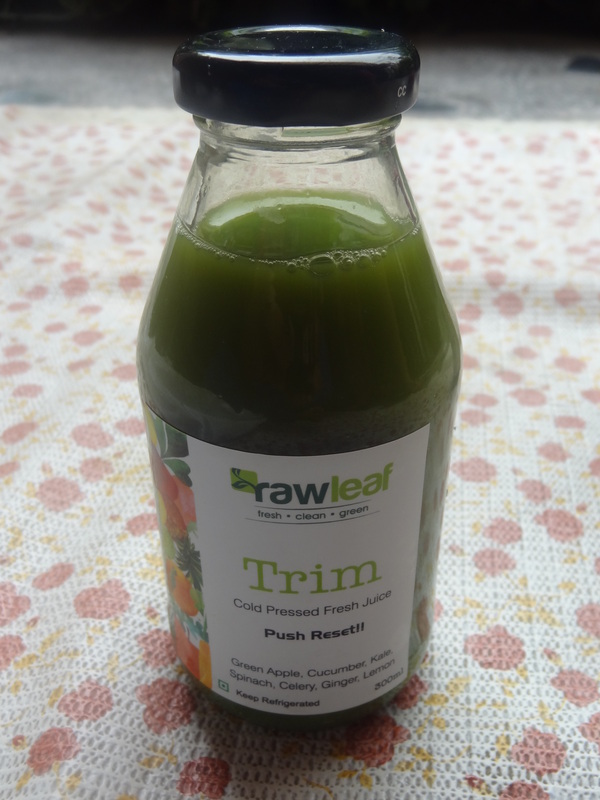 TRIM: The Trim juice was healthy, nutritious with the colour being fresh green like a summer quencher. It is made of green apple, cucumber, kale, spinach, celery, ginger & lemon. It resets the life and spruces you to regain the energy like a sports drink. It re-energizes your tired soul so fill your body with this quencher since you’re sure to feel fresh after it hits on your system with the right energy and notes. Both the concoctions (The Detox & Trim) come in 300 ml glass bottles. Moreover there is no sugar or artificial flavour added in both the juices which is the best thing. They are preservative free & safe to consume. 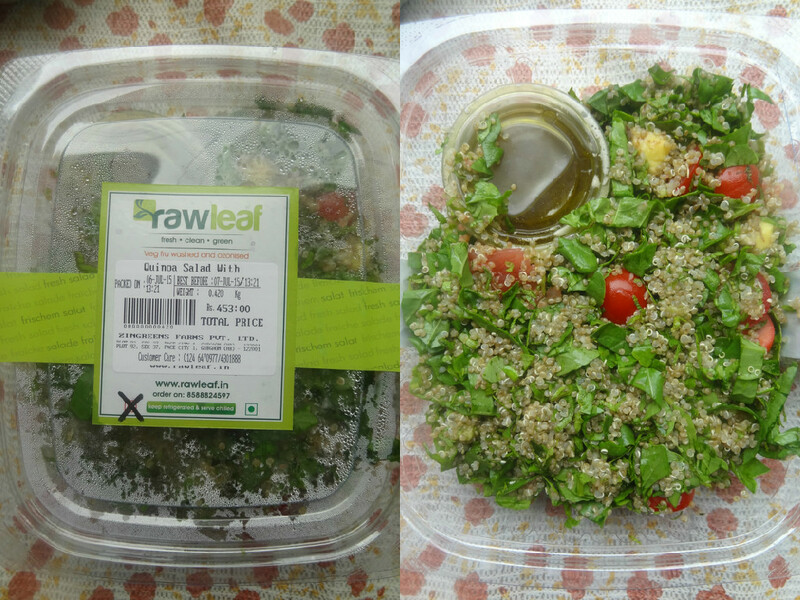 All the people at Raw leaf I thank you- you’re amazing at work. 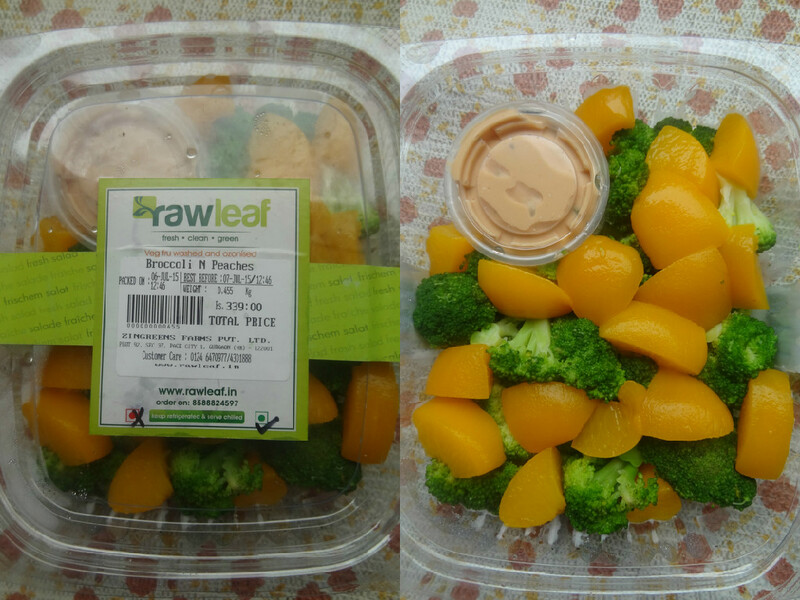 Everyone head on to www.rawleaf.in to taste their exquisite salads & cold pressed juices. They have over 45 exciting options to choose from.